Hotshot attorney Martin Vail must defend a young man accused of brutally murdering Archbishop Rushman, known as the “Saint of Lakeview Drive.” This case looks impossible until his psychologist makes a discovery. Martin Vail, the brilliant “bad-boy” lawyer every prosecutor and politician loves to hate, is defending Aaron Stampler, a man found holding a bloody butcher’s knife near a murdered archbishop. 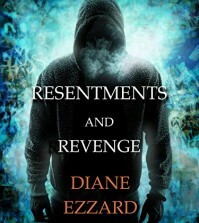 Vail is certain to lose, but Vail uses his unorthodox ways to good advantage when choosing his legal team–a tight group of men and women who must uncover the extraordinary truth behind the archbishop’s slaughter. They do, in a heart-stopping climax unparalleled for the surprise it springs on the reader. Clever twists and a bona fide surprise ending make this an above-average courtroom thriller, tapping into the post-O.J. scrutiny of our legal system in the case of a hotshot Chicago defense attorney (Richard Gere) whose latest client is an altar boy (Edward Norton) accused of murdering a Catholic archbishop. The film uses its own manipulation to tell a story about manipulation, and when we finally discover who’s been pulling the strings, the payoff is both convincing and pertinent to the ongoing debate over what constitutes truth in the American system of justice. Making an impressive screen debut that has since led to a stellar career, Norton gives a performance that rides on a razor’s edge of schizophrenic pathology–his role is an actor’s showcase, and without crossing over the line of credibility, Norton milks it for all it’s worth. 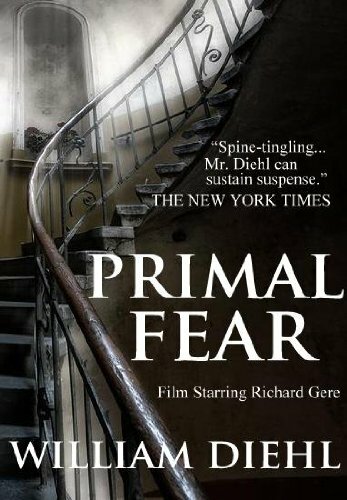 Gere is equally effective in a role that capitalizes on his shifty screen persona, and Laura Linney and Frances McDormand give memorable performances in their intelligently written supporting roles. Rezzia, a small village in Cisalpine Gaul. Fourteen year old Arlus dreams of leaving behind his abusive stepfather and joining the legions as a cavalry officer. But when a tax collector from Rome rolls into town, a chain of dramatic and violent events leave Arlus begging for his life. To save her son, the boy’s mother is forced to admit who his father really is: the Dictator of Rome, Julius Caesar. In an instant, Arlus’ life is altered forever. Seeing the potential for profit, the tax collector Maxinius takes Arlus to Rome in a bid to have him recognised by Caesar as his son and heir. Thrown into a whirlwind of politics, alliances and Patrician society, Arlus prepares to meet his father. But the day set for Arlus to meet Caesar is the fateful Ides of March, and his meeting with the great ruler doesn’t go quite as planned: his father is murdered before his eyes by traitors within the Senate. Suddenly in even more danger than before, Arlus is forced to flee. As Rome prepares for civil war in the wake of Caesar’s assassination, Arlus returns home to a conflict of his own: a mob of bandits threaten Rezzia, and Arlus must muster every ounce of his strength and cunning to defeat them and save those he loves. But will he be able to live up to his father’s reputation? 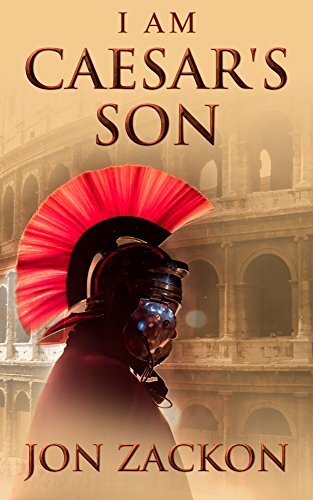 ‘I Am Caesar’s Son’ is a gripping coming of age story of courage, adventure and first love, set against the backdrop of the violent and politically volatile Roman world. Jon Zackon was born in South Africa but spent most of his working life as a journalist on British national newspapers. He currently lives in the UK. He is also the author of ‘A Taste For Killing’. 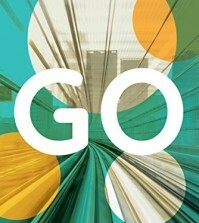 Pursue your passions, love your family, and say goodbye to guilt—pipe dream or possibility? Work and family, individuality and motherhood, the creative life and family life—women are told constantly that they can’t have it all. 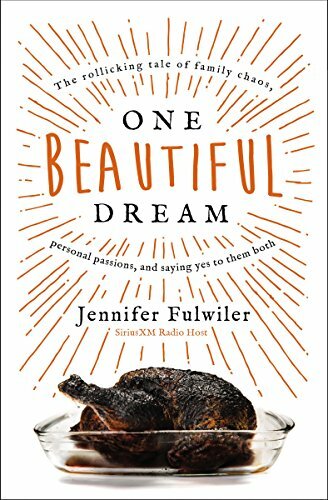 One Beautiful Dream is the deeply personal, often humorous tale of what happened when one woman dared to believe that you can have it all—if you’re willing to reimagine what having it all looks like. Jennifer Fulwiler is the last person you might expect to be the mother of six young children. First of all, she’s an introvert only child, self-described workaholic, and former atheist who never intended to have a family. Oh, and Jennifer has a blood-clotting disorder exacerbated by pregnancy that has threatened her life on more than one occasion. One Beautiful Dream is the story of what happens when one woman embarks on the wild experiment of chasing her dreams with multiple kids in diapers. It’s the tale of learning that opening your life to others means that everything will get noisy and chaotic, but that it is in this mess that you’ll find real joy. 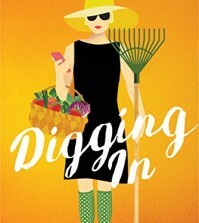 Jennifer’s quest takes her in search of wisdom from a cast of colorful characters, including her Ivy-League-educated husband, her Texan mother-in-law who crushes wasps with her fist while arguing with wrong number calls about politics, and a best friend who’s never afraid to tell it like it is. Through it all, Jennifer moves toward the realization that the life you need is not the life you would have originally chosen for yourself. And maybe, just maybe, it’s better that way. 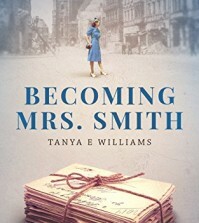 Hilarious, highly relatable, and brutally honest, Jennifer’s story will spark clarity and comfort to your own tug-of-war between all that is good and beautiful about family life and the incredible sacrifice it entails. Parenthood, personal ambitions, family planning, and faith—it’s complicated. Let this book be your invitation to the unexpected, yet beautiful dream of saying yes to them all, with God’s help. By popular demand, the book version of the much acclaimed Forex Course for Smart Traders is here. Most traders learn to trade the wrong way. It’s only years later they realize their trading system has been focused on all the wrong things. Instead, save yourself countless hours and dollars by learning to trade Forex based on the principles and practices of history’s greatest traders. Learn what really works and what doesn’t. It’s doing the simple things well that will yield the best results in trading. If you fail to master the fundamentals of successful trading, you are virtually guaranteed to fail long-term because of poor risk management. This book is not for everyone. Forex trading isn’t easy. For a few, those that do achieve mastery, it’s life changing. Success in Forex trading is not a mystery. It is a process that can be modeled by anyone willing to put in the time and effort. It takes time, hard work and the mental flexibility to step outside your comfort zone. If you are looking for a holy grail trading, this book is not for you. There are no easy money promises here. 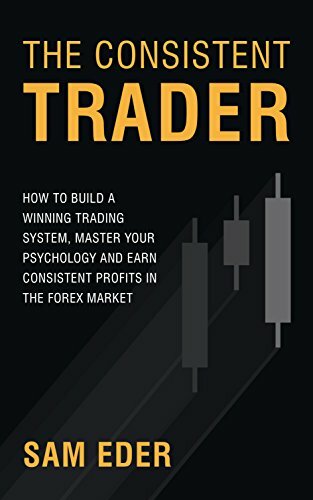 But if you are a committed person who expects the best from themselves and wants to learn the life-long skill of Forex trading, this is the book for you. No matter where you are in your trading it will take you to the next level. 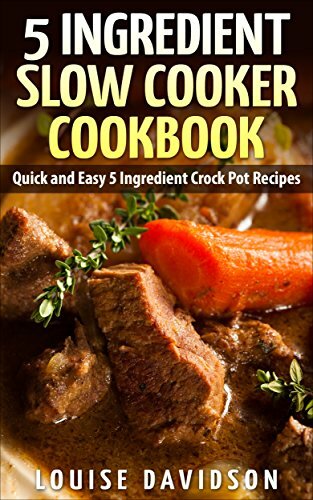 If think about it, using a slow cooker can solve all this. It will make you save time and energy and money. What’s not to like? On top of that, if you only need five ingredients to prepare your meals, and 15 minutes to make it, it’s even better! Slow cookers allow you to go home with food not only ready for you to eat, but also still tasty and warm at the same time. All you have to do is to prepare the ingredients in the morning, put all of them in the slow cooker and leave it. No mess, no dishes to clean, and not much effort compared to other kitchen appliances. This also means less work and faster preparation time. You arrive at home with a one-pot meal ready to eat. It will give you more time to enjoy your meal. Compared to ovens, slow cookers require a significantly lower amount of electricity. This means lower bills for you to pay. Another money-saver is that with slow cookers, you can buy the less expensive, tougher meats. Instead of the expensive choice cuts, you can use the tougher meats because the slow cookers will make the meat more tender. •Weekend breakfast dishes like the French toast casserole. Take note that I don’t count salt and pepper, water, and cooking spray as ingredients. Not every fairytale has a happily ever after. We only know three things about the Fae: They don’t lie, they cheat. What they aren’t given, they take. And if they can’t rule…they conquer. Now the fate of humanity lies in a battle between good and evil where lines are not easily drawn. Time travel to 19th century France, brave the gritty streets of New York City, or enter the realm of the Fae itself in this darkly enchanting collection from today’s hottest USA Today, award-winning, and international bestselling paranormal and fantasy authors. 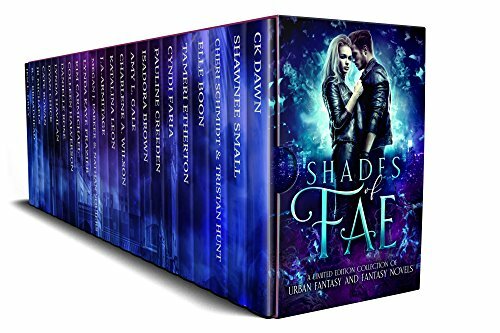 Shades of Fae is your ticket to a mystical realm where Sinister Sidhe and Dark Elves manipulate mortals, vengeful fae warriors battle nefarious vampire lords, and an apocalypse rife with werewolves, dragons, nymphs, banshees, shifters, and supernatural hunters brings unparalleled danger. Find out who survives and who dies when you order Shades of Fae TODAY! In the waning days of World War II, the Obake Neko is the last surviving Sen-Toku–a huge secret aircraft-carrier submarine created by the Imperial Japanese Navy. As the war comes to an end, the Obake Neko sets sail back to Japan with a cargo of unimaginable value. In the chaos of Japanese surrender, the clandestine vessel and its crew vanish in the seas of the South Pacific. Fifty-five years after the war&apos;s end, former U.S. Navy pilot, Bud Brennan breaks into Pearl Harbor&apos;s submarine museum in Hawaii. Bud&apos;s son, Mike, is still raw from the death of his wife and grappling with a new career but still jumps in to help his dad. 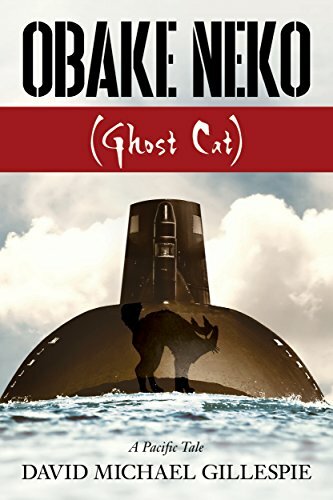 But when Bud&apos;s antics garner the attention of the Navy&apos;s JAG, Mike realizes his father may possess knowledge about the near-mythical Obake Neko and its fabled cargo–knowledge that is also of great value to the Japanese Yakuza. Now, Mike must scramble to learn the whole truth of his father&apos;s decades-old connection with the legendary Japanese submarine and fight to defend his father from relentless military authorities and deadly Yakuza operatives. Even decades later, the Obake Neko and its legendary cargo are still worth killing over. Can Mike discover the truth and protect his dad before deadly assailants succeed in silencing Bud forever?